It’s a shame when a perfectly good-looking woman sports what appears like a second chin, which can’t help but draw the eye at each new meeting. There’s now an easy way to rid yourself of such an unfortunate eyesore. An article in The Mirror features a woman who did away with her double chin after a simple one-hour liposuction session. Liposuction, the procedure, which removes unsightly, dimpled fat deposits. But this new method removes fat cells from the body in a less invasive manner than traditional liposuction, so the recovery time is shorter. Site-specific fatty deposits are often genetic and very tough to beat. And in our increasingly visual world we associate more and more of our identity with our looks. So more and more people are increasingly saving up for plastic surgery or related non-surgical procedures. Another very popular non-surgical procedure that corrects a genetic quirk is Botox. This injection helps reduce muscle caused wrinkles in the mid forehead. 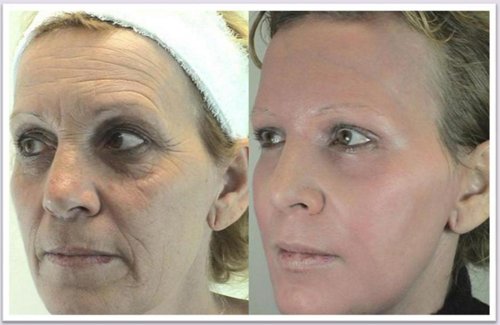 The effects of Botox last for about three to five months depending on the patient. 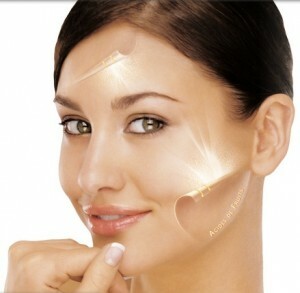 But long-term use weakens the muscles and lessens the frequency and amount necessary to achieve the wrinkle-free effect. A Botox injection can relax the muscle and prevent future wrinkles, but is does not tread the furrows and creases already present. For that an injectable fill would be required. Liposuction does not require deep incision, as it exists on the surface, relatively removed from muscle, tendon, bones or organs – so it’s a good starter procedure if you’re considering more invasive procedures down the line. These three simple, minimally invasive and relatively inexpensive procedures can offer the gift of youthful glow and facial structural balance. Such gifts however, require a surgeon with much experience and a gentle, steady touch. Dr. Robert Warr has just that. A renowned plastic surgeon In Bristol and beyond, he’s been a Fellow of The Royal College of Surgeons of England for over a decade. As a member of the British Association of Aesthetic Plastic Surgeons and the British Association of Plastic and Reconstructive Surgeons he is constantly discussing and experimenting with cohorts who are also interested in refining the science and craft of plastic surgery. Once he researches the latest technological innovations Drawer shares them with his patients. When you experience the mastery of his cosmetic surgery you will understand why so many Brits and French patients trust him with their bodies and their self-esteem. His reputation is best confirmed in his Bristol and Westerchire patients’ passionate testimonials. When it comes to Botox and liposuction Dr. Warr is truly a master at shaping, contouring and resizing all parts of the body. He has a way of making each patient comfortable, pain and stress free with an infusion of a diluted tumescent anaesthetic and a light general anaesthetic. Once the procedure is complete, your dimpled fat disappears forever! You’ll feel more attractive, less distracted and more light- hearted and not afraid to smile boldly around family and friends. So rid yourself of the small genetic imperfections that disrupt your free-spirited ways – ring Dr. Warr today!